This is one dish you won’t have trouble finding across India. The classical Udupi version is golden brown and crispy. I love how it gently disintegrates into tinier crispy bits, some restaurants (like Woodlands in Chennai and Bengaluru) used to insert a tiny banana leafwith freshly churned butter inside the dosa. This butter would melt inside the dosaalong with the masala on its way to your table. Pangala in Manipal (Udupi’s twin town) serves one of the best Masala Dosas in and around Udupi and is a big hit with the town’s large student population. My first memory of the Kadubbu takes me back to the iconic Dasaprakash restaurant in Chennai. From Kadubbu to Moode (or Mude) to Gunda, the locals use quite a few terms to describe this uniquely shaped cylindrical idli. It’s the same batter cooked in a different mould. The conical moulds are crafted with jackfruit leaves and placed in a large vessel inside a conventional pressure cooker. It’s also cooked in Kedige (the local name for screw pine or a type of pandanus leaf). Some local restaurants in Udupi serve it with etty (prawn) chutney. 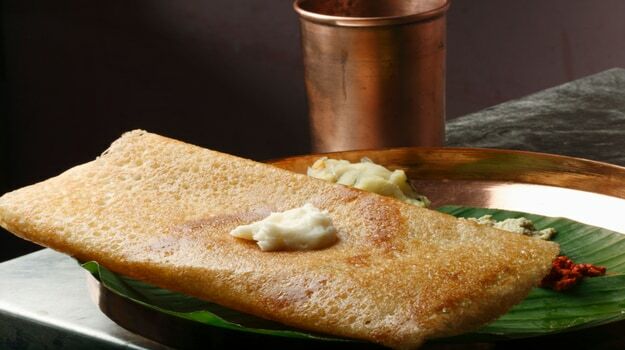 This airy, incredibly light dosa can probably be folded to fit into your palm. Made with a thin batter – that’s almost the same consistency as a Rava Dosa batter, with rice (better when soaked overnight) and coconut. 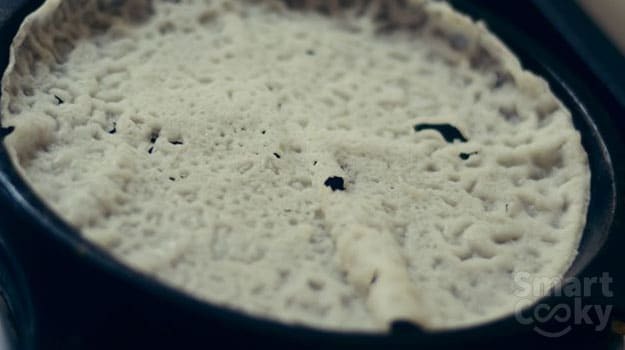 It’s why it’s called Neer (water) Dosa. It makes a perfect accompaniment with some of the region’s meat and seafood gravies. 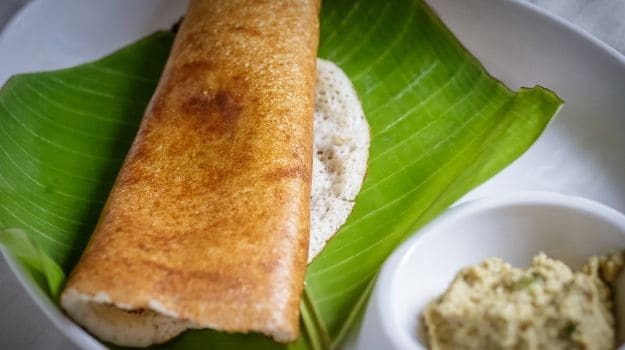 Mathsya, one of Chennai’s true-blue Udupi restaurant, serves this dosa with a simple mixture of freshly ground coconut with jaggery. Mitra Samaj located next to Udupi’s iconic Shri Krishna temple is one of the town’s best known food institutions. This modest eatery serves a variety of Udupi snacks all day but it’s their Goli Baje that is their signature dish and usually available around 4 pm – tiffin time. This delectable deep-fried snack combines maida (Flour), rice flour and curdwith a smattering of green chillies and ginger. You can sample authentic versions of this dish at Palmgrove Hotel in Chennai or Ballal Residency in Bengaluru. Sweet or savoury? The only way to know is to sample this unique dish that can pass of for a poori or even a katchori but tastes distinctly different. Locals call this fluffy poorilookalike, a bun. The bun gets its subtle sweet taste from overripe bananas that are mashed into the maida and let to ferment for a few hours (overnight is even better). The flavours are further enhanced with a few cumin seeds, sugar and curd before they are deep fried just like pooris. There’s a tiny Woodlands restaurant in Udupi that serves an authentic version of this dish, you can also sample this at restaurants like Mathsya and Ashoka Hotel in Chennai. February 2, 2019 admin Comments Off on Buying silver coins online- where to find silver coins?